3,30am: presentation of the historical exhibition, by Klaus Wildner, Hermann Hauser and Massimo Raccosta. 8,00pm: Happy Hour, at Museo Civico’s courtyard. Curated by: Marco Ramelli, Gabriele Lodi, Hermann Hauser Guitar Foundation, Festival Corde d’Autunno, Acoustic Guitar Village - Cremona Musica. Thanks to the Hauser Guitar Foundation and in collaboration with Ing. Massimo Raccosta during the three days of the exhibition it will be possible to admire some of the most representative instruments by Hauser, a family of guitar makers who for more than a century has dedicated themselves to developing instruments with incredible build quality and sound, in a rare balance between tradition and innovation. 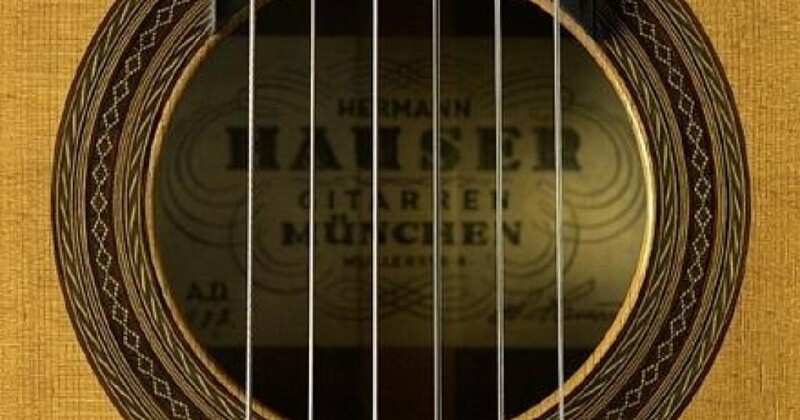 The last day of the fair will be devoted to the exploration of the sound and constructive world of Hauser and its evolution over time with a conference that will see the participation of Hermann and Kathrin Hauser with performances by the guitarist Aliosha De Santis who in recent years has developed a profound knowledge of these tools. Important events will also be dedicated, on the 50th anniversary of his death, to the composer Mario Castelnuovo-Tedesco, who as Hermann Hauser was linked to the figure of Andrés Segovia. On Friday Andrea Dieci will hold a masterclass focused on the music of the Florentine composer with students from various Italian and foreign conservatories. In the afternoon, the Milanese guitarist will present his recent recording project dedicated to Toru Takemitsu, recorded with an instrument by Hermann Hauser I. The highlight of the event will be the concert ‘Omaggio a Castelnuovo-Tedesco’ by the Japanese virtuoso Kazuhito Yamashita at the auditorium “Le Stanze per la Musica” Civic Museum “Ala Ponzone”, a true star of the classical guitar, who will present two of the masterpieces in concert from Castelnuovo-Tedesco the quintet op.143 and a selection of Caprichos de Goya op.195. Before the concert it will be possible to see and listen to some instruments from the Carlo Alberto Carutti collection at the Museo Civico, curated by Accademia di chitarra “A piú corde”.